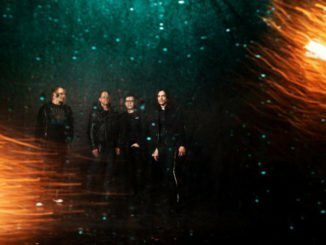 Now, pushing even further, they are announcing that their October and November 2019 tour will be different from anything they have previously undertaken. They will make a stop off at Dublin’s 3Arena, 29th October 2019 and Belfast’s SSE Arena, 30th October 2019.Tickets will go on sale this Friday, 9th November at 9AM. Back in October 2010, a-ha had played the whole of Hunting High And Low just twice, first at Oslo’s Konserthus and then at London’s Royal Albert Hall. 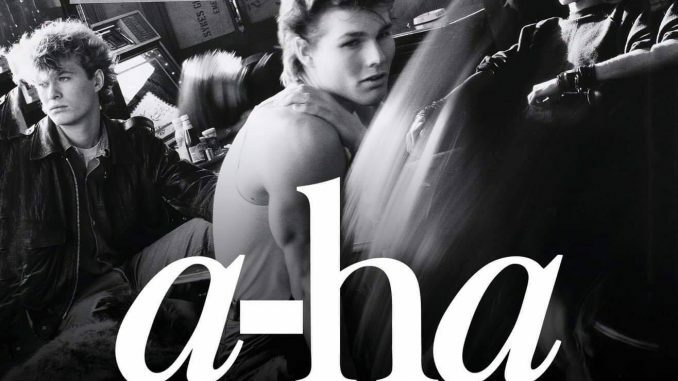 Now, from France to Poland and from Germany to Scotland, audiences will have the unique chance to experience a-ha revisiting their first album while staying faithful to its spirit. Together, Hunting High And Low’s ten songs are more than a debut album. “Take On Me”,“Train Of Thought”, “Hunting High And Low”, “The Blue Sky”, “Living A Boy’s Adventure Tale”, “The Sun Always Shines On T.V.”, “And You Tell Me”, “Love Is Reason”, “Dream Myself Alive” and “Here I Stand And Face The Rain” are ten songs which captured a-ha’s heart and soul. And the hearts and souls of fans world-wide too. The tour is timed to celebrate the 35th anniversary of the release of the original version of “Take On Me” – issued in the UK on 19 October 1984 to reputed sales of just 300 copies. The re-recorded “Take On Me” was released in Britain during April 1985 to little fanfare, and in America that May where it hit big after its striking promotional video was seen on TV. It was reissued in the UK that September and, finally, the British hit came. The Hunting High And Low album was on sale in America in June 1985, and in the UK in October 1985. It was a long way from when, two years earlier, the three members of a-ha were making demos on a four-track, reel-to-reel tape recorder in a holiday cabin owned by Pål’s family in Nærsnes, near Oslo. As Pål admits, a-ha’s road to Hunting High And Low was full of twists and turns. Despite the band’s self-belief, there was never any certainty of success. If their label had not allowed to them to re-record “Take On Me” and then make the new version which became the global hit, that may have been that. Nothing was cut and dried. Even when “Take On Me” took off, no one knew the band would be become established as one of the world’s best and most-loved. There were no guarantees. But the pushing, the rethinking and the self-confidence ensured that a-ha would not have “one and only shot”. Yet when a-ha had what they needed for their debut album, they knew these were ten perfect songs capturing who they were and, to a large degree, still are. Ten songs marrying yearning melodies and drama; marrying immediacy and intimacy. When they play Hunting High And Low live in 2019, it is about more than revisiting ten favourite songs. It is also about tapping into the sense of adventure which first brought a-ha to London: a recognition that they have never stood still. “Take On Me” and Hunting High And Low remain as vital as when they were recorded and released. The live shows in October and November 2019 will show why.